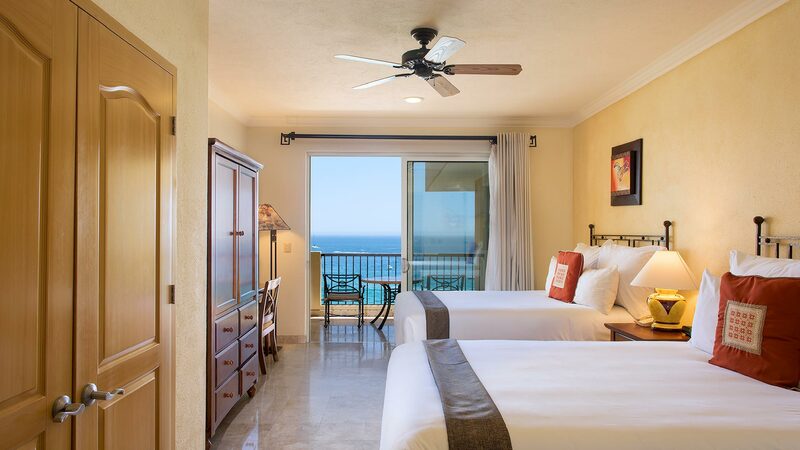 The Deluxe Room Ocean View at Villa del Arco Beach Resort & Spa is a haven for small families or romantic getaways. Featuring one king or two queen-sized beds, a spacious bathroom with a luxurious tub and shower, and a private balcony, the Deluxe Room is the ideal vacation accommodation. 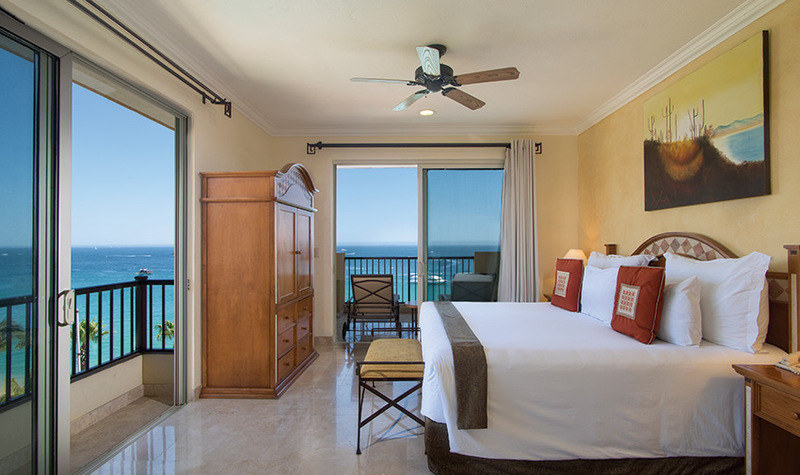 The private balconies at this Cabo San Lucas all inclusive resort offer stunning views of the setting sun and surrounding natural beauty, while the kitchenette make this cozy accommodation more like your home away from home. "It Just Doesn't Get Any Better!" 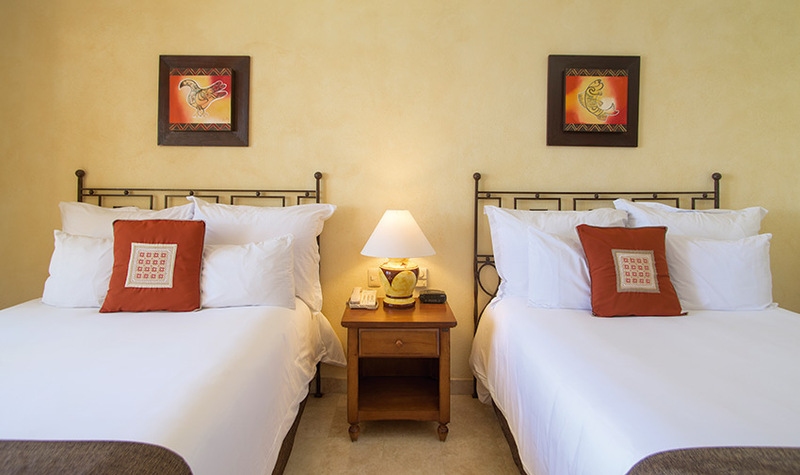 ...As for the facility, both our room and the grounds and common areas throughout the resort were absolutely spotless. We had a deluxe studio with an incredible ocean view that we truly enjoyed since we were celebrating our Anniversary. I'm already ready to book our next visit!